Congratulations on your admission to the University and welcome to the Faculty of Arts and Social Sciences! You would, by this time, have read the section on the Faculty in the University Prospectus and noted the wide range of subjects available. 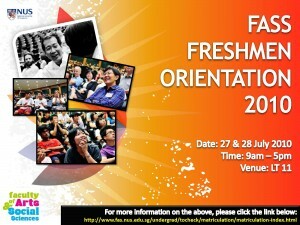 In order to further familiarise you with the curriculum, we will be holding Orientation Talks on 27 and 28 July 2010. We urge you to attend these talks as they will give you a better understanding of your degree requirements. Question and answer sessions have also been scheduled to clarify any doubts that you may have. Instructions for the on-line registration of modules are also available here for your information and attention. 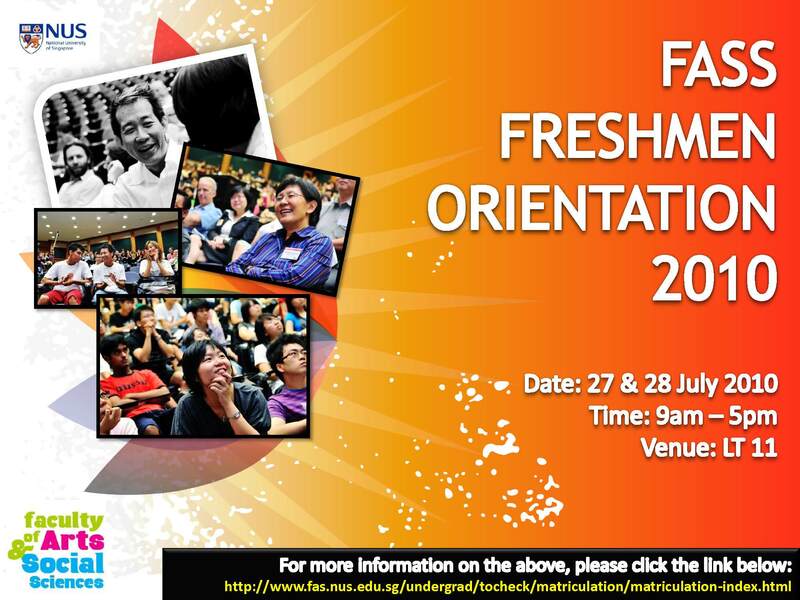 We look forward to welcoming you to the Faculty. The Department of Economics is pleased to be hosting the 10th Conference of The Society for the Advancement of Economic Theory (SAET). The theme of the conference will be ‘Current Trends in Economics’ and will bring together 238 speakers in 59 panel sessions over three days. The Presidential Address will be made by the renowned economist, encumbent, Charles Plott. 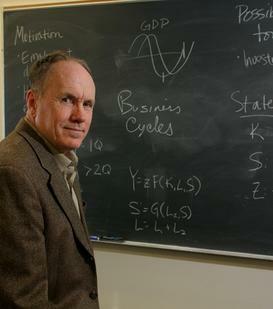 The Sir John Hicks Lecture will be delivered by the eminent 2004 Nobel Prize for Economics Laureate, Edward Prescott. The Conference will take place 13-15 August 2010 at the Grand Copthorne Waterfront Hotel, Singapore. The Department of Social Work has helped Singapore win the bid to host the 2016 International Social Work Conference on Health and Mental Health. 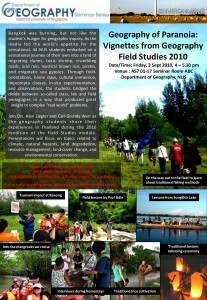 This important conference is held only every three years and attracts well over 1000 academics and practitioners. FASS Department Head Dr Rosaleen Ow co-chaired the bid which involved partners from the Medical Social Work (MSW) HealthCare Group and the Social Work Departments of NUS and the Singapore Institute of Management (SIM) University. The announcement was made on the 29th of June in Dublin as the President of Ireland, Ms Mary McAleese addressed the official opening of the conference. The proposed theme for the 8th round of the conference is “Enhancing Human Condition – Negotiating and Creating Change”. 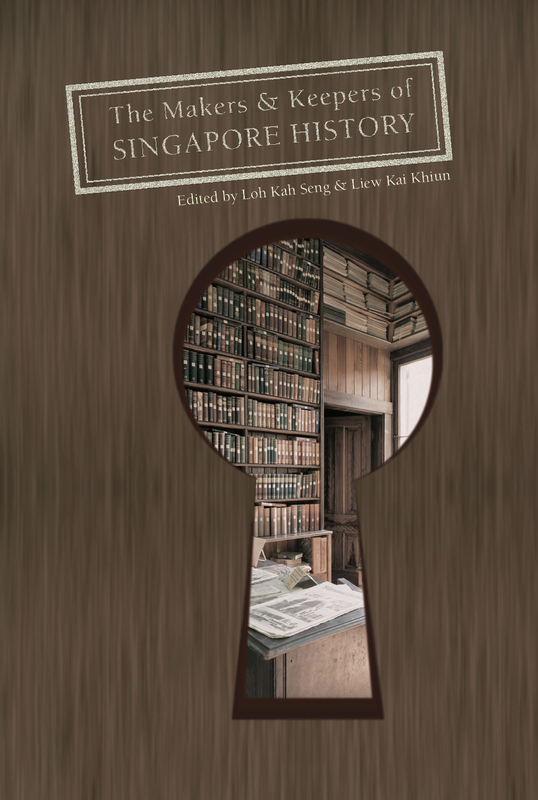 Three FASS Professors will be speaking at the launch of an important new book on researching and writing Singapore history, The Makers and Keepers of Singapore History (published by the Singapore Heritage Society and Ethos Books). Professor Prasenjit Duara (Raffles Professor of Humanities/Director HSS Research/History), A/P Huang Jianli, (History, book chapter contributor) and A/P (Adj) Kwa Chong Guan (History/NTU, book chapter contributor) will discuss this “meditation on the making of history”. Among the many contributors to the book are other FASS and NUS staff and alumni, namely Asst Prof Syed Muhd Khairudin Aljunied (Malay Studies), Dr Jason Lim (History), Asst Prof Kelvin Low (Sociology), Adj Prof Kevin Tan (Law), Dr Lai Ah Eng (ARI), Liew Kai Khiun, Jack Meng-Tat Chia and Ho Chi Tim (alumni). 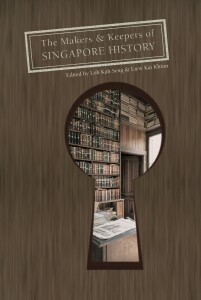 “The Makers and Keepers of Singapore History (…) begins at the cusp of history, where past and present meet. Every book on the past has to negotiate with the present – to find the archival sources, which are located somewhere, possibly behind a gate and its keeper; or to locate that elusive participant who will throw light on a major gap in our knowledge, and convince them to speak. So much of the research on history is predicated upon such presents that it is important, and timely, to examine the gates, which stand between researchers and the archives and memories, they seek. Three members of the Social Work Department have earned awards for their abstracts at the 2010 Joint World Conference on Social Work and Social Development in Hong Kong. 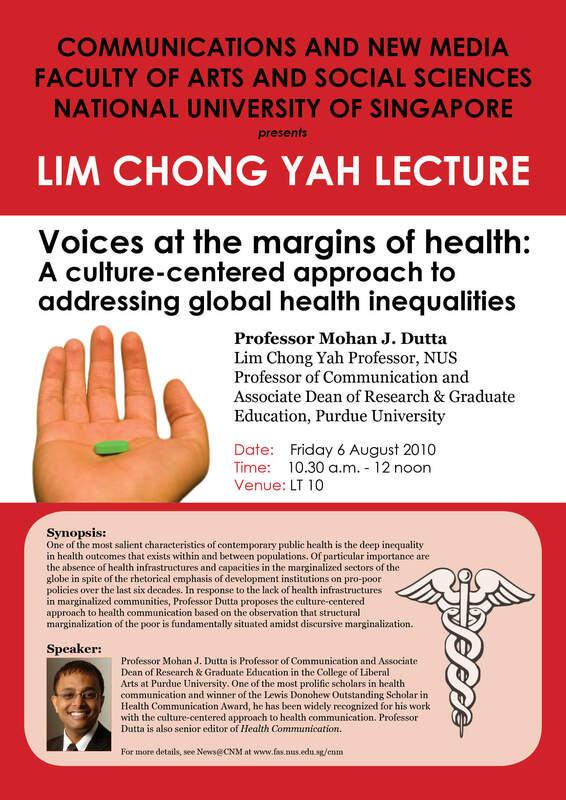 The global conference was held from 10th to 14th June 2010 with more than 2000 participants. Head of Department Dr Rosaleen Ow shared two awards, the first was for Best Abtract Award (Researcher) shared with her colleague Dr Sudha Nair for their abstract on Systematic Research and Families with Multiple Problems: A Paradox? The second was with NUS PhD candidate Ivan Mun Hong Woo who won the University of Hong Kong Young Scholar Award for Outstanding Abstract for his paper on Understanding Psychosocial Needs and Service Utilization among Conjugally-bereaved Baby Boomers in Singapore: An Agenda. Congratulations to Dr Ow, Dr Nair and Ivan! Take us by storm. Tell us your story. 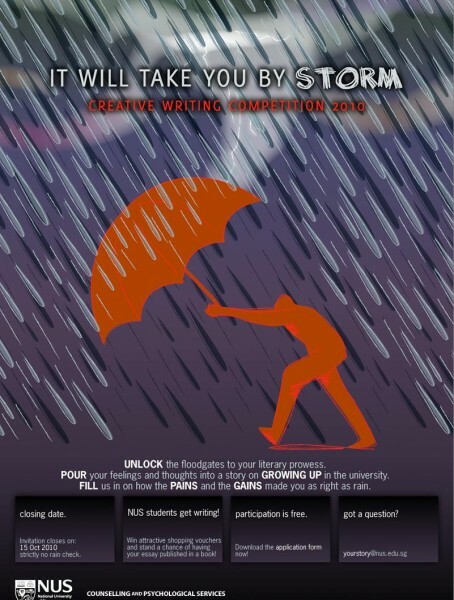 Enter the CREATIVE WRITING COMPETITION today! Tell us about your personal storm. How you made it through and what worked for you. 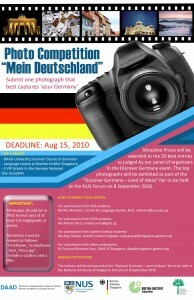 Win PRIZES worth a total of $1600 and stand a chance to have your story PUBLISHED in a book. 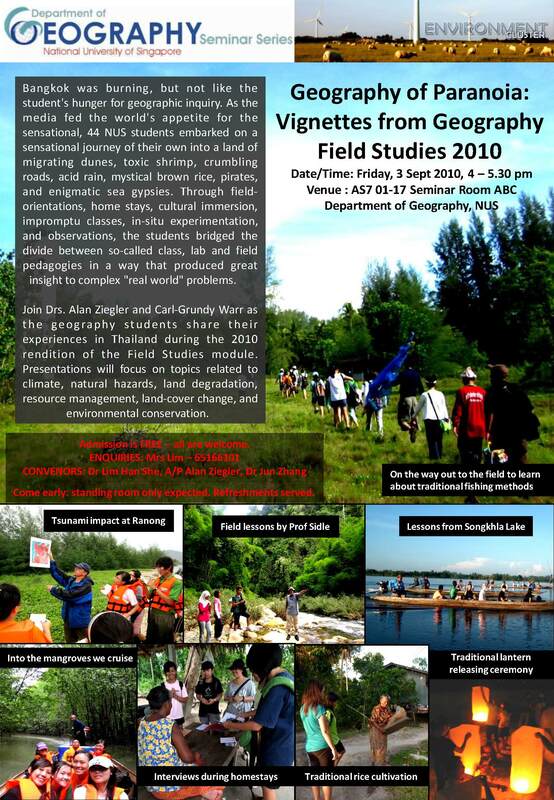 Participation is FREE. DO IT NOW! Click here.